Chef Angel Moreno (center) cuts the ribbon Saturday with members of the Carey and Wyandot Chambers of Commerce in a ceremony to celebrate the opening of his Moreno’s Vault banquet hall located next door to his Moreno’s Casual Dining restaurant in Carey. CAREY — Moreno’s Casual Dining celebrated its banquet hall expansion Saturday with a ribbon cutting ceremony with the Wyandot and Carey Chambers of Commerce. “It is an exciting time right now,” Moreno’s owner Chef Angel Moreno said. The banquet hall is called Moreno’s Vault. Located next door to Moreno’s Casual Dining, it can host up to 300 people for events. Moreno said the name was inspired by the location’s previous tenants. “It actually used to be a bank,” he said. 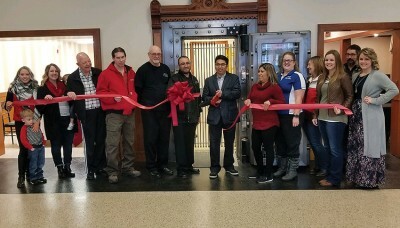 The new hall has already hosted a small event for a test run, but Moreno says that after the ribbon cutting ceremony, Moreno’s Vault is officially open for business. The primary stipulation for the hall is only Moreno’s can be the caterer for the event. “The hall doesn’t have kitchen but Moreno’s is next door and all the food can be cooked and transferred over from the restaurant,” Moreno said. Moreno said some 2019 weddings already have been booked at the vault as well as other business events and even non-profit fundraisers like the upcoming Art Connections auction in late February. He also wished to remind area residents that Moreno’s has a smaller banquet hall connected to its restaurant which can host up to 150 people. 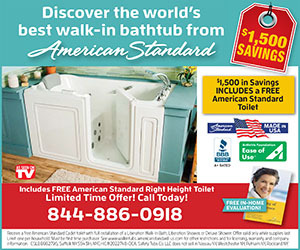 Reservations are being taken for Moreno’s Vault now. Anyone interested can call Moreno’s Casual Dining at 419-396-7374, call Moreno’s Catering services at 419-889-0396, email info@morenoscasualdining.com or visit the website at www.morenoscasualdining.com for information on the banquet halls, menus hours and more. Moreno’s Casual Dining is located at 109 W. Findlay St., Carey. “We’re very, very, very excited,” Moreno said.